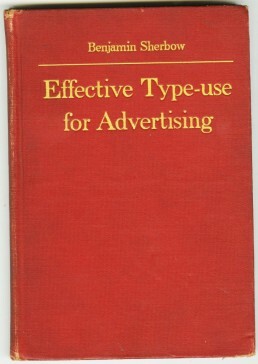 In 1922, Benjamin Sherbow, a “consultant in Typography” and the author of Making Type Work and Sherbow’s Type Charts, self-published Effective Type-use for Advertising. This was six years before W.A. 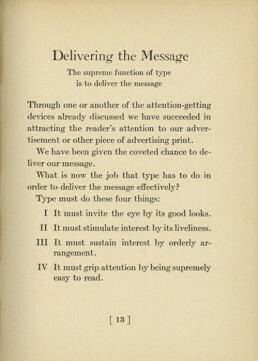 Dwiggins’s Layout in Advertising and Jan Tschichold’s Die Neue Typographie, the two leading books on type use. Sherbow’s book is credited by “designers,” art directors, and type directors of the era for being a no-nonsense guide through the rights and wrongs of typographic text and display.